Coating thickness gauge is a highly demanded product by customers across the globe because of its wide use in paint industries for testing the thickness of paint coating of vehicles. 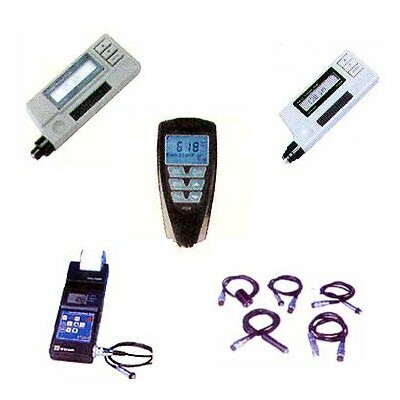 India Tools & Instruments Co., being one of the foremost Coating Thickness Gauge Manufacturers, suppliers and exporters from Mumbai, excellently meets the end needs and requirements of the clients from different sectors and serves only the best quality. Our products are manufactured by the industry experts in sync with the latest technologies to ensure their hassle-free performance and to attain 100% client satisfaction. We have a strong distribution network, thus, we deliver our products to customer’s available in catty-corners without any trouble. Being a prominent Coating Thickness Gauges manufacturer, supplier and exporter from India, we offer our products to different corners after testing their performance on different parameters. The use of the finest quality and modern machines help us win the faith of our clients on our products. To order, contact us now.